Fretted instruments were first introduced to Hawaii by Portuguese immigrants in the nineteenth century and by the early twentieth century, the island variations of these instruments known as ukuleles began to make their way to the mainland United States. Maintaining their reverence for the iconic instruments of the past, the craftsmen at Eastman have painstakingly studied actual instrument samples of the most coveted models from what is widely perceived as the era when the most desired ukuleles were being manufactured. More than just look-alikes, these instruments capture the tone, playability and island soul of the original classic ukuleles that inspired them. 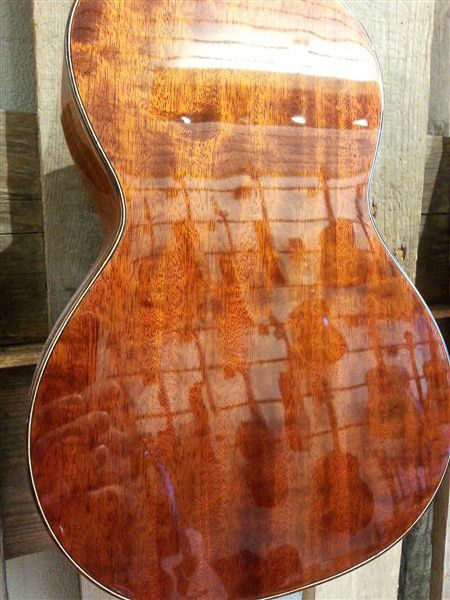 Each ukulele features all solid wood construction with the top, back & sides made from the finest mahogany finished in a high gloss nitrocellulose lacquer. The body is matched with rosewood binding and the fretboard is inlaid with abalone pearl snowflakes. Appointments include a bone nut and classic Grover tuning machines. Nylgut strings and hardshell case included. 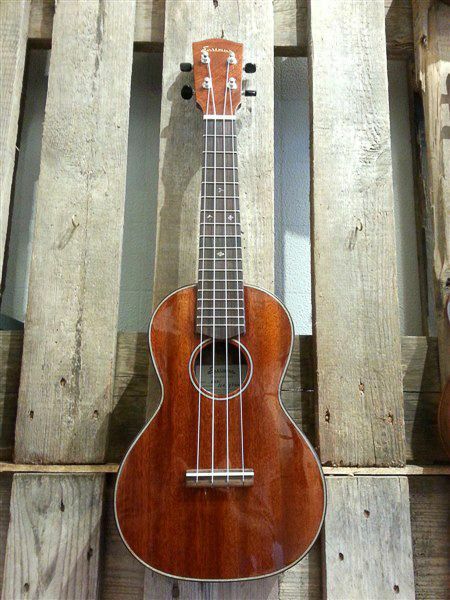 Fretted instruments were first introduced to Hawaii by Portuguese immigrants in the nineteenth century and by the early twentieth century, the island variations of these instruments known as ukuleles began to make their way to the mainland United States. 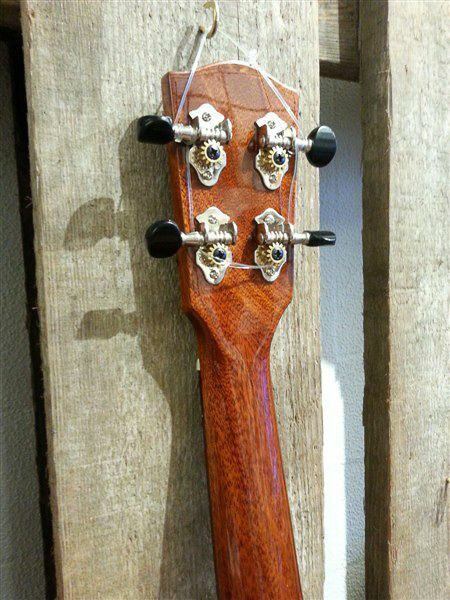 Maintaining their reverence for the iconic instruments of the past, the craftsmen at Eastman have painstakingly studied actual instrument samples of the most coveted models from what is widely perceived as the era when the most desired ukuleles were being manufactured. More than just look-alikes, these instruments capture the tone, playability and island soul of the original classic ukuleles that inspired them. 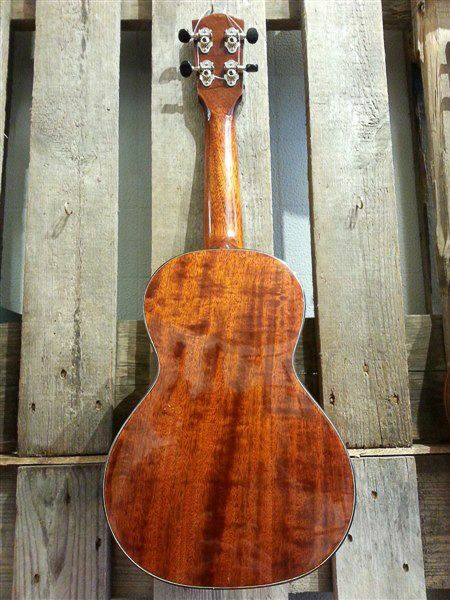 Each ukulele features all solid wood construction with the top, back & sides made from the finest mahogany finished in a high gloss nitrocellulose lacquer. The body is matched with rosewood binding and the fretboard is inlaid with abalone pearl snowflakes. Appointments include a bone nut and classic Grover tuning machines. Nylgut strings and hardshell case included.